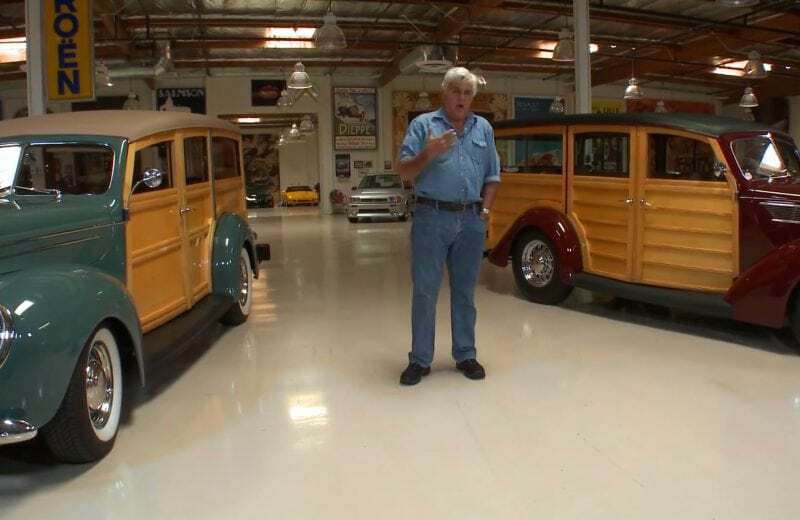 In this episode of Jay Leno’s Garage, Scott Bonowski of Hot Rods & Hobbies, a restoration shop in California, brings in two classic Ford Woodie wagons, one of which is a 1937 Ford Woodie owned by Eric Johnson. Johnson also attends and the expected jokes about “Johnson’s Woody” commence. These are beautiful cars and Jay, being the luckiest guy in the world, gets to drive the 1937 for a while.